A SketchUp guide created specifically for woodworkers! SketchUp is a fantastic design tool for woodworkers. It can save you time, materials and money by letting you test your designs before you even make your first cut. But, as with any computer software, there is a learning curve. This comprehensive guide provides you with the specific advice that you need in order to use the program effectively. Created from a woodworkers perspective, SketchUp: A Design Guide for Woodworkers helps you create beautiful furniture designs and reduces chances of costly construction errors. 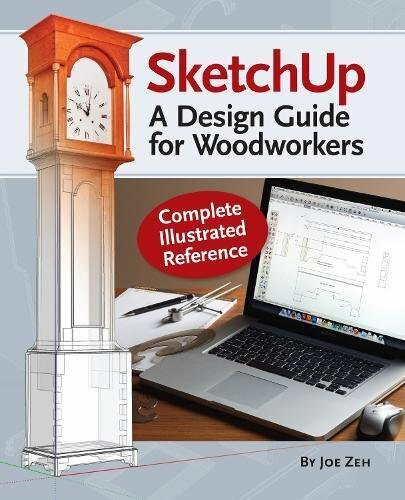 There are plenty of SketchUp guides out there, but this one concentrates specifically on what you, as a woodworker, need to know. Let this guide help you learn how to get the most out of this versatile tool.